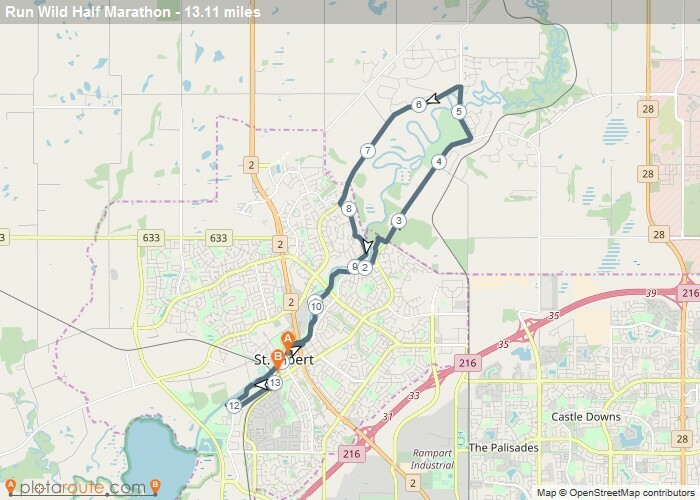 The Half Marathon starts in front of St. Albert Place and winds up Sturgeon Road to join with St. Albert’s trail system. Running beside the river to Kingswood Park you travel past the prestigious Sturgeon Valley Golf Course. Enjoy the country side as you make your way down Bellerose Drive and continue into Oakmont. Crossing the Oakmont bridge, rejoin the St. Albert trail system then make your way over to Sir Winston Churchill Ave and Riel Drive for the final stretch to the finish line. Don't forget to check out the Race Village, which includes a kids' fun zone, live entertainment, food and beverages and much more!